The universal symbol of the tree of life represented through this silver necklace with gold plated details. 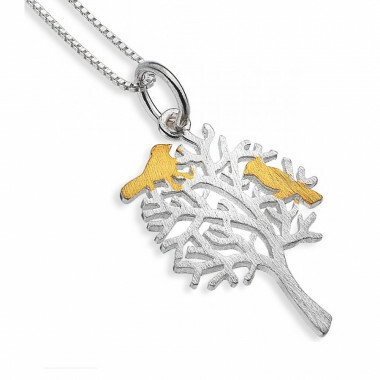 The universal symbol of tree of life represented through this silver necklace with few gold plated details. Pendant sold with its silver chain. 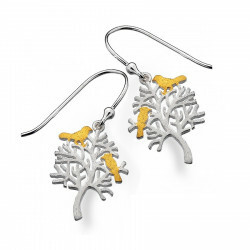 Discreet and sophisticated, these silver and gold plated earrings represent the tree of life. Silver 925/100 and gold plated details.